It goes without saying that Kylie Jenner is the queen of Instagram. Despite not being the most-followed person on the social media platform (Cristiano Ronaldo holds that spot), the makeup mogul truly found her image and voice through Instagram, and she attributes her success in almost every area to it. With huge events happening in her life, such as giving birth last February, Kylie's photos garner a ton of attention. Here are her eight most-liked photos on Instagram. The first photo Kylie ever shared of her and boyfriend Travis Scott's baby Stormi was actually the most-liked photo on Instagram, with over 18 million likes. This was until an egg took over the social media platform and took the top spot. Ky posted it on Feb. 6, 2018. And people continued to care about Kylie and Stormi, clearly. The second photo she ever posted of her daughter, in which the reality star poses beautifully holding her, has over 13 million likes. She posted it on March 1, 2018. Seeing a pattern here? In celebration of her birthday, Ky took to Instagram to share the first full shots of Stormi, in which the pair pose for a professional camera. Needless to say, people loved it, as it has over 12 million likes. She posted in on Aug 9, 2018. Kylie and Stormi dressed up as multiple things for Halloween, but it appears fans loved the butterfly costumes the best! The photo has over 11 million likes. She posted it on Oct 29, 2018. This photo showed us that Stormi was really growing up, as she posed so cutely with Kylie at the Kylie x Jordyn launch party, which celebrated her makeup collaboration line with best friend Jordyn Woods. The adorable photo has over 11 million likes. She posted it on Sept. 21, 2018. We're honestly surprised this photo doesn't have more likes. In honor of Thanksgiving, Ky took to social media to share a gorgeous shot of her, Stormi, and Travis. People obviously love the family, as the picture got over 10 million likes. She posted it on Nov. 22, 2018. Another family member makes the cut! Kylie and sister Kendall Jenner posed for a beautiful photoshoot, which both parties shares to Instagram. They look so grown up, as Ky acknowledges in her caption. The photo has over 10 million likes. She posted it on Oct 28, 2018. 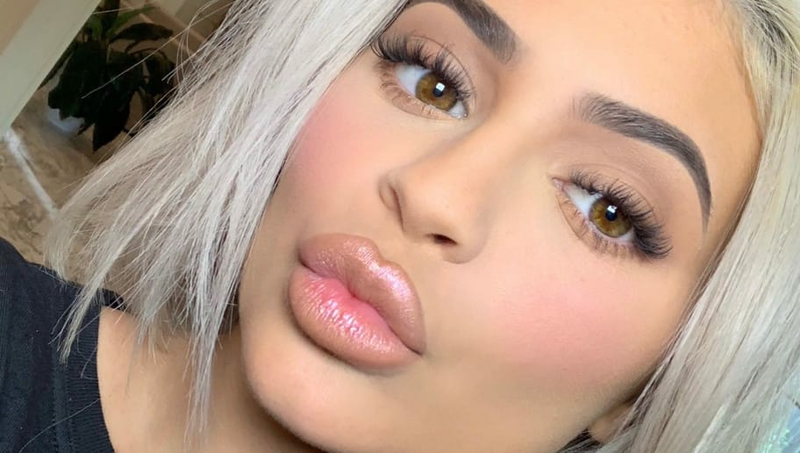 After months of speculation as to whether Kylie was actually pregnant or not, she finally took to social media to share the news that she had given birth. Going down as an iconic moment in pop culture history, the photo has over 10 million likes. She posted it on Feb. 4, 2018 (also the day of the Super Bowl).